Joseph Beuys was born on May 12, 1921 in Krefeld. He was the son of the director of a company Joseph Jacob and his wife Johanna Maria Beuys. Shortly after his birth, the family moved to Kleve, where Beuys spent his childhood and youth. There he went to grade school and later to the humanistic grammar school. Beuys had several differences with his parents because he did not strictly follow the Roman Catholic education. The young Beuys had his first experience with art, with sculptures by Wilhelm Lehmbrück. Because of these experiences, he wanted to be a sculptor. In 1940 he finished high school with a high school diploma and signed up voluntarily in the same year for military service. First, he was a fighter pilot on the Eastern Front, then a paratrooper on the Western Front, and later he was promoted to sergeant. Beuys obligated for 12 years as a professional soldier. In March 1944 there was a plane crash, in which Beuys suffered minor injuries. According to him, there were serious injuries and the story became a myth. He said that he was cared for after the crash with animal fat and warm felt. This story explained the frequent use of the materials felt and fat. The felt should stand for protection and warmth and the fat for life. After the surrender of the German Armed Forces, Beuys got into war captivity from May 18, 1945 until August 5, 1945. After this time, he painted and sculpted his first works. In 1947, Joseph Beuys was accepted at Staatliche Kunstakademie in Dusseldorf. He began his studies in the sculptor-class of Josef Enseling, but later he changed to the class of professor Ewald Mataré. During his studies Beuys could assist his teacher with numerous works. The philosopher Rudolf Steiner marked a central topic of discussion in the class of Mataré. As founder of anthroposophy, he also inspired Beuys and was with his scripture Kernpunkte der sozialen Frage really important for Beuys later thoughts about the „expanded concept of art“ (Erweiterter Kunstbegriff) and „Social Sculpture“ (Soziale Plastik). In 1952 Beuys completed his studies as a master student. In 1958 Beuys met the art teacher Eva-Maria Wurmbach and one year later they married. 1961 the first son Boien Wenzel was born. Three years later daughter Jessyka followed. Beuys lived and worked until his death in Kleve and Dusseldorf. He died on January 23, 1986 of heart failure at his studio in Dusseldorf. In the late 1950s Joseph Beuys strove for a professorship at Staatliche Kunstakademie Dusseldorf. However he started his career in 1961 and became a professor for „Monumental Sculpture“. Beuys was teacher of artists like Jörg Immendorff, Imi Knoebel, Anselm Kiefer and Inge Mahn. He quickly attracted attention because of his special campaigns and his different teaching methods, which had nothing in common with monumental sculpture. 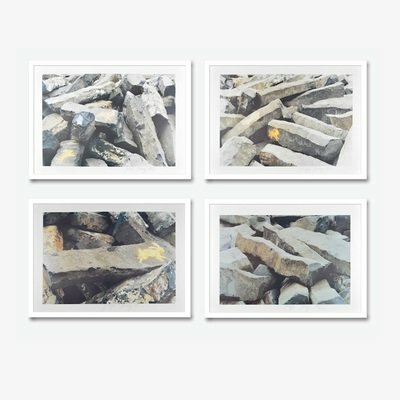 Beuys spent a lot of time at the Staatliche Kunstakademie in Dusseldorf and was of the opinion that anyone who wants to study art should do it without hindrance as regards proficiency tests and portfolios. So it happened that Beuys proposed a concept for an international free school for creativity and interdisciplinary research at the Kunstakademie. However, without success. In 1973 Beuys was expelled from the Kunstakademie, because he occupied with rejected students, against the norm, the Registrar's Office to force their admissions. In addition, his professorship was denied, but later he received it back. 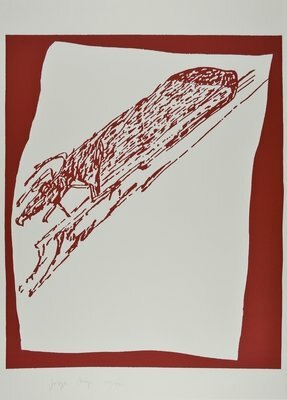 In 1974 Beuys got a visiting professorship at Hochschule für Bildende Künste Hamburg. In 1978, Beuys received another offer from the Hochschule für angewandte Kunst in Vienna, but he rejected it. After several disputes with the Staatliche Kunstakademie Beuys was allowed to keep his studio in room 3, where he founded the Free University International (FIU) in 1980. During his lifetime Joseph Beuys was very engaged in politics. In the late 1960s, he founded the Deutsche Studentenpartei (DSP). At documenta 5 in 1972, Joseph Beuys was represented by the Information Office of his Organization for Direct Democracy through Referendum for the duration of the whole documenta (100 days). There he discussed with the visitors the idea of direct democracy through referendum and their possibilities of realization. For Beuys the German system was „criminal“, which was the reason for his political interest. Therefore in the 1980s, he became one of the founders of the Party Die Grünen. In 1980 he ran as a candidate for the European elections, and was the top candidate in the German general elections. Through the theory of the „expanded concept of art“ (Erweiterter Kunstbegriff) Beuys tried to extend the understanding of art. 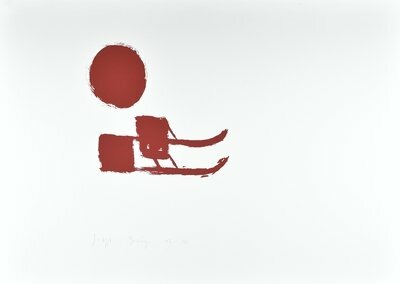 Beuys shared the conviction that every human being is an artist and therefore anyone can express himself artistically. With the term "expanded concept of art" the concept of "social sculpture" came along. This should be the definition of Beuys notion that every human being can change the society and the community through artistic action. Die Revolution sind wir, Claudia Henne/Renate Lieberenz, Germany 2008, ’15. 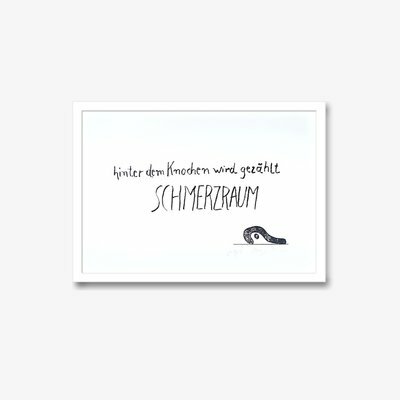 Ich denke mit dem Knie. Themenabend Joseph Beuys, Andrea Schurian, Austria 2001, ’135. 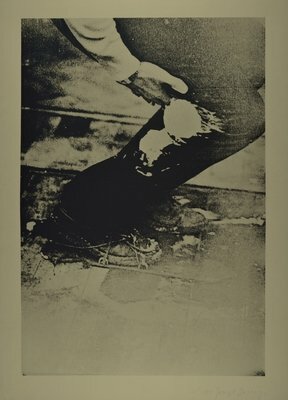 Beuys. Die Revolution sind wir, exhibition catalogue, Hamburger Bahnhof Berlin, Göttingen 2008. Beuysnobiscum, published by Harald Szeemann, Dresden 1997. Beuys in Amerika, published by Klaus Staeck/Gerhard Steidl, Heidelberg 1987. Beuys zu Ehren, exhibition catalogue, Munich 1986. Joseph Beuys, Götz Adriani/Winfried Konnertz/Karin Thomas, Cologne 1973. 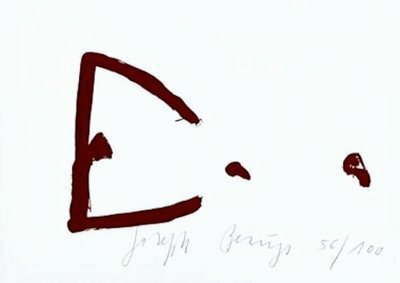 Joseph Beuys: Reden über das eigene Land, Munich 1985. Joseph Beuys: Aktuelle Kunst Hohe Straße Köln, Informationen zu einer Straßenaktion, Cologne 1971.